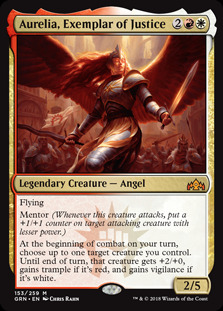 Aurelia, Exemplar of Justice ($3.08) Price History from major stores - Guilds of Ravnica - MTGPrice.com Values for Ebay, Amazon and hobby stores! Card Text: Flying Mentor (Whenever this creature attacks, put a +1/+1 counter on target attacking creature with lesser power.) At the beginning of combat on your turn, choose up to one target creature you control. 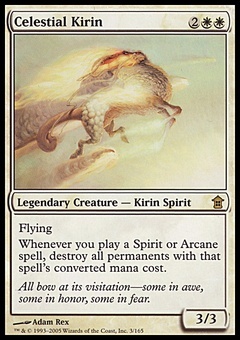 Until end of turn, that creature gets +2/+0, gains trample if it's red, and gains vigilance if it's white.